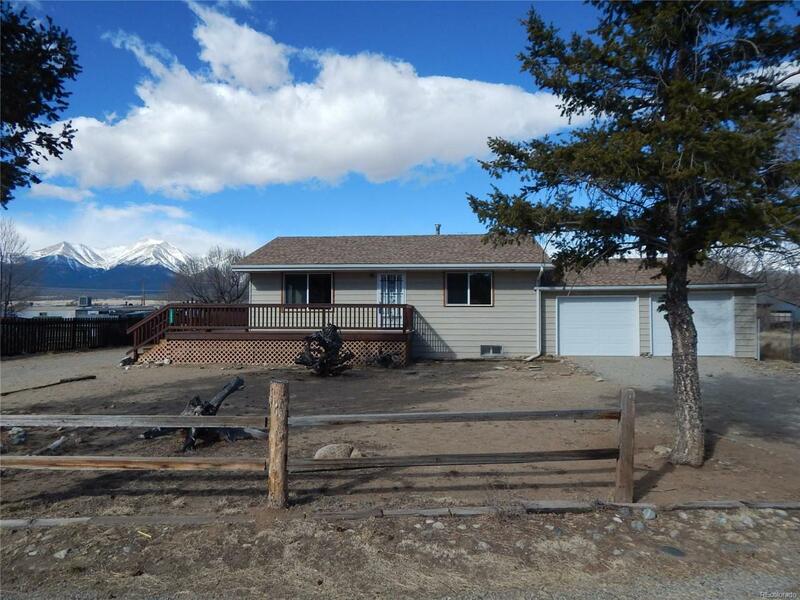 Newly updated Ranch style home with a full basement. Newly remodeled with new windows, bathrooms, cabinets, doors, new carpet throughout and paint. 2 bedrooms and two bathrooms. with another two rooms in the basement that are finished to resemble bedrooms but are not considered bedrooms by the county. Full finished basement has door to outside provides a private living area apart from the upper level. A kitchen can be added in the basement and made into a separate apartment. Wood stove in the basement living area, Huge Mountain Views! Large adjoining vacant lot with room to build another house on, County will allow an ADU unit of 1,000 sq ft. Full domestic well allows for outdoor use, and city sewer. Quiet street, close to the river and a short bike ride to town.